A fresh rumor out of the Far East on Thursday claims Apple will launch a low-cost iPhone in September in five colors, with the hues taken directly from the company's official bumpers made for the iPhone 4. 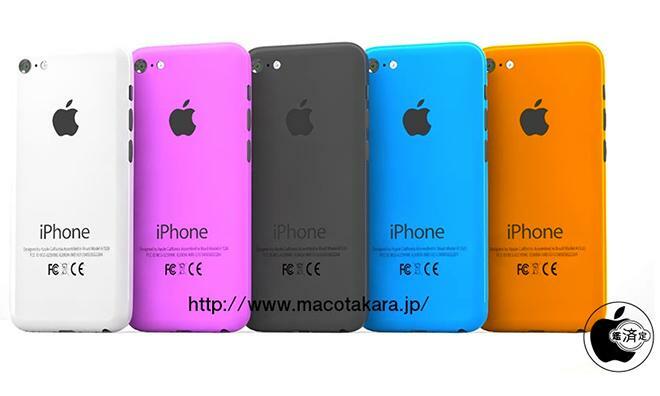 Citing a reliable source, Japanese Apple blog MacOtakara reports Apple has decided to produce black, white, pink, orange and blue versions of an as-yet-unannounced low-cost iPhone. The color saturation is said to be very close or identical to Apple's iPhone 4 Bumpers. In addition, the person said green is no longer being considered, a color rumored to be in the running as of late May. The source was not sure if a (PRODUCT)RED iteration would be included in the launch lineup. As for Apple's follow-up to the iPhone 5, dubbed by many as the "iPhone 5S," the site reiterated that gold will be an option when the handset is released this fall. The statements are in line with a photo of purporting to show SIM card trays bound for the next-generation iPhone, one of which appeared to be golden or beige. Rumors of a colored iPhone 5S first gained traction in January, when Topeka Capital Markets analyst Brian White claimed supply chain sources said the smartphone would be offered in a range of eight colors. Those options were pink, yellow, blue, green, purple, silver, slate and a special designation for the (PRODUCT)RED initiative.